Home strength (Platanias) vs. motive (Iraklis). The results of the Sunday matches were satisfactory as 4/4 of the main betting picks yesterday were accurate. Please do not be carried away because it may was just a good day. There is one match left and I do not intend to change my approach. The regular season comes to an end and this means motive overcomes quality. There is no doubt Platanias was a huge surprise this season. In case you’ve missed it, they are the fifth stronger home team in Super League (7W-4D-1L, goals 22-12). The players of Paraschos fear no one at Perivolia and they deserve to be treated as favorite in their home game today. Iraklis (1W-2D-8L, goals 5-18) is struggling to get out of relegation placement and the main reason for their poor season are their financial problems. I have to point out the fighting spirit of the players who chose to stay with the club. Some of the results they got, like the recent draws against Panathinaikos (1-1 at home) and PAOK (1-1 at home) make me wonder where they could have been if they were allowed to focus to their game without having to worry if the club will go bankrupt next week. Fact 1: The two teams have met 4 times, all of them were draws. Fact 2: Levadiakos got a point yesterday and increased the distance from Iraklis. Fact 3: Platanias has theoretical chances for the Play Offs but let’s be honest. 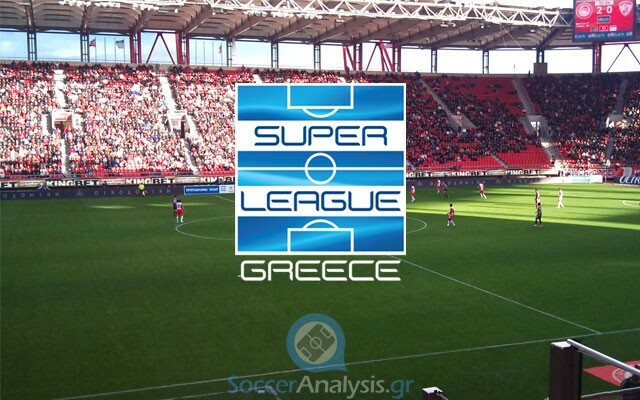 Can they keep up with Panathinaikos and AEK who happen to be in form? Fact 4: Coaches Paraschos (Platanias) and Pantelidis (Iraklis) have good relations and they have worked together in the past. In fact, Pantelidis was the assistant of Paraschos at Halkidona (a club that later merged with Atromitos). The student has faced the teacher 4 times until now having 3W-1D-0L all of them with different clubs.